Whether you are a beginner, a recent convert or even an advanced user, you know by now that using Revit is an ongoing learning process. I’ve been using it since 2006, and there are still a lot of things I don’t know or have forgotten about with the program. Revit is a relatively easy program to learn, but it has a variety of features we don’t use everyday. Design options, phasing, creating new sheets, creating custom tags… these are just a few features we don’t deal with on a regular basis. More than likely, there is someone in your firm who takes care of them. But what about creating families from scratch? In this 10-part series, you’ve learned to do exactly that. But although you now have the knowledge to create families, the reality is you don’t really get to create them on a regular basis. To be proficient in creating families, you have to practice. It helps to actually create them and write down certain procedures for your future reference. When I got started, I had a notebook in which I kept information on how I created certain families. 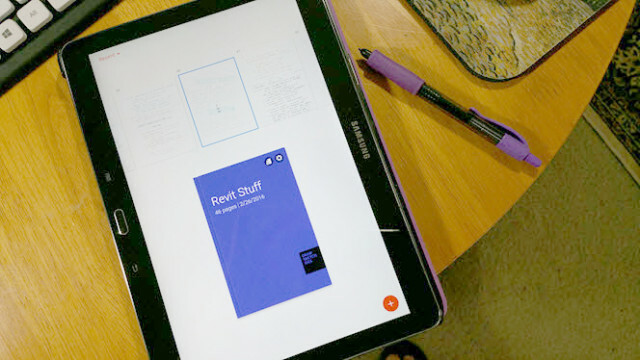 Later on, I transferred all that information to my Samsung Galaxy Note 10.1 (2014 edition), which I love because of its stylus pen capabilities. To date, I’ve amassed a lot of notes and illustrations pertaining to techniques and procedures that are stored in an app called S Note (Figure 1). At home, I have both a laptop and a desktop computer where I create families or solve Revit problems I’ve encountered at work. Back when I got laid off during the recession, I bit the bullet and used my 401K benefits to buy a Revit Building Suite license. 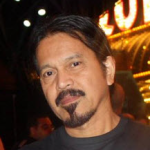 It paid off because that led to the creation of my website, the publishing of my two eBooks and out-of-state contract work that I did at home. However, the cost of a Revit license is so prohibitive that not everyone can afford to buy a license. So how do you practice? Let’s begin by finding out the best place to practice. Work: There are firms that allow their employees to stay late and practice Revit after work hours or during weekends. You may have to talk to the company owner about this. With all the information contained in company computers, they may be reluctant to have their resources be used by employees for personal matters. Otherwise, talk to your boss into letting you come in early so you can practice. Use your break periods or stay late to experiment with Revit modeling. Tip: Ask and you shall receive. In one of the previous firms I’ve worked with, my boss not only allowed me to practice 3D modeling after work hours, but even let me borrow a computer that I could take home for practicing the program. All I had to do was ask permission from him. School: If you’re taking a Revit class in a community college or vocational school, then you have access to the program at certain hours. Check with your school regarding their policy concerning practice time and access to the software outside of class time. Home: This is the ideal location for practicing Revit as you are relaxed in the comfort of your home environment. Your next hurdle then is how to acquire the Revit program. Download the Revit Architecture 2016 free 30-day trial. This is a fully functional program that lets you print and save your files. After 30 days, the print and save features are disabled. However, you can still print and document your files using any screen capture program such as Jing, Snagit, or other freeware. 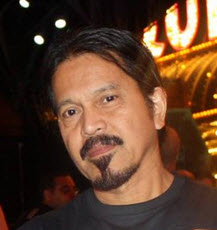 Jing is entirely free, while Snagit has a 30-day free trial ($49.95 for a license). 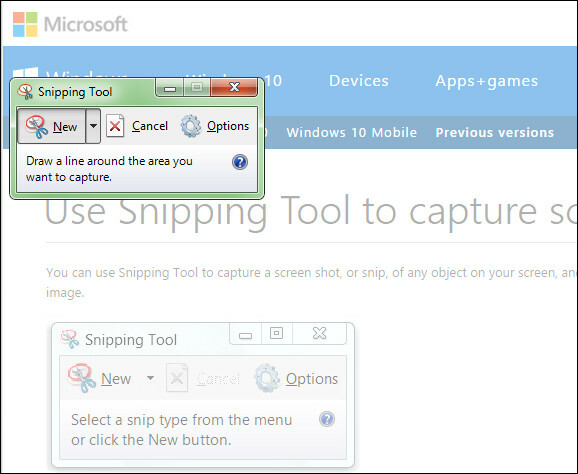 Windows 7 comes with a free screen capture utility called Snipping Tool (Figure 2). If you are a student or currently unemployed, Autodesk provides assistance in the form of free software downloads. This includes Revit as well as a slew of other CAD and visualization software (3ds Max, Inventor, Green Building Studio, etc.). However, you must be one of the following: a faculty member, a student or an Autodesk Assistance Program participant. 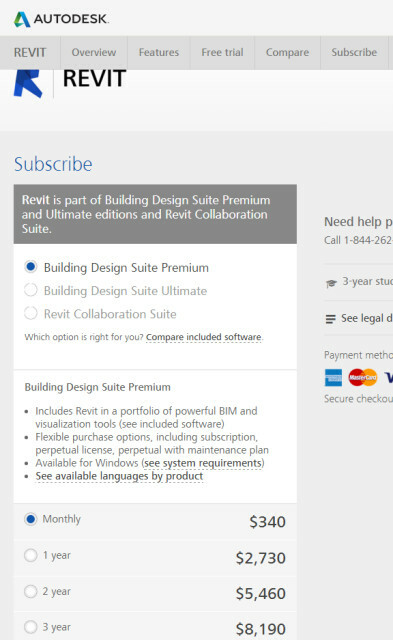 Revit is now offered on a subscription basis. Although this subscription option is a bit expensive, you are not tied to the full cost of the program as you will only pay based on a specific time period (Figure 3). Contact your local reseller for the latest pricing and information. You can never run out of objects to practice on. Everywhere you look, there are modeling materials around you. Start with simple objects that only require simple extrusions. As soon as you start getting the hang of it, slowly integrate objects with curves. If you want to model objects that you can use in your office, there are thousands of reference materials you can get by browsing office furniture supply stores on the Internet. 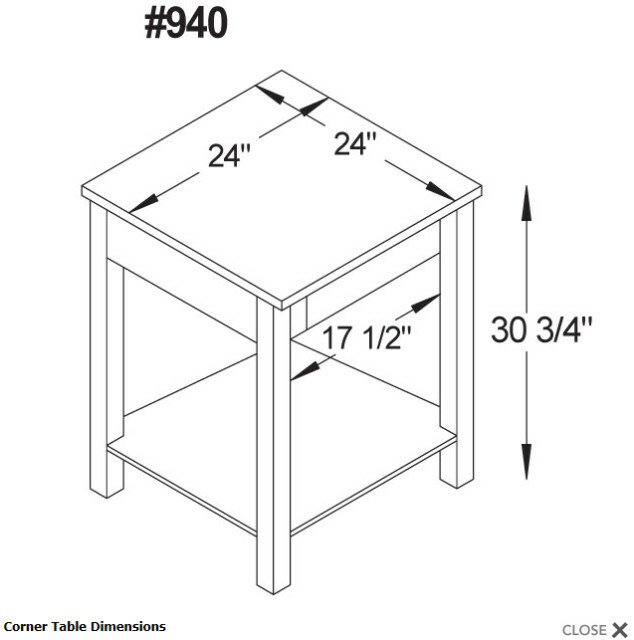 Some of them feature simple diagrams with basic dimensions or full-dimensioned plans with 3D isometric views (Figure 4). Try modeling logos. You can use Revit’s Model Text tool or you can create different styles of fonts by tracing them as extrusions. With extrusions, you can control the font’s shape in sketch mode. Combined with voids, you can further change its shape. As you get proficient, try modeling simple organic forms. Start with vases, lamps, glassware, etc. Then slowly move to furniture with curvy shapes. Household items such as vacuum cleaners, pots and pans and garden furniture have complex shapes. All these practice materials may or may not be useful in your line of work. But the point here is to get accustomed to modeling simple to complex shapes. With regular practice, you’ll come to a point when you can look at an object and know exactly how to model it. These days, you can find dimensioned diagrams of the objects you want to model in Revit on the Internet. I prefer modeling objects around my house because I can view them in front of me. As such, I use measuring tools so I can accurately draw their profiles in the Family Editor. Following are some of the measurement tools I use that you can purchase. 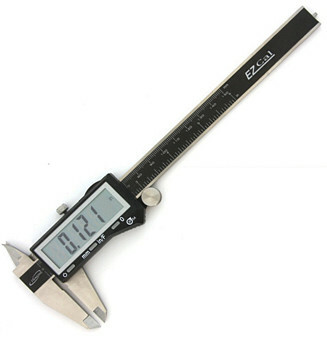 Digital caliper (Figure 5): A 6-in model costs around $15 to $25 at Amazon. This measures thickness in millimeters or inches. 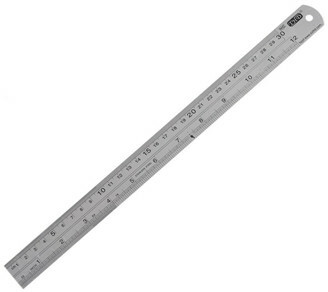 Steel rulers (Figure 6): These are durable rulers with tick marks that don’t fade. They are clearly visible even at 1/64-in divisions. Depending on the length, they sell from $5 to $15 at Amazon. Scale (Figure 7): This is the triangular type with multiple scale values. They run around $6 to $10 at art stores or Amazon. 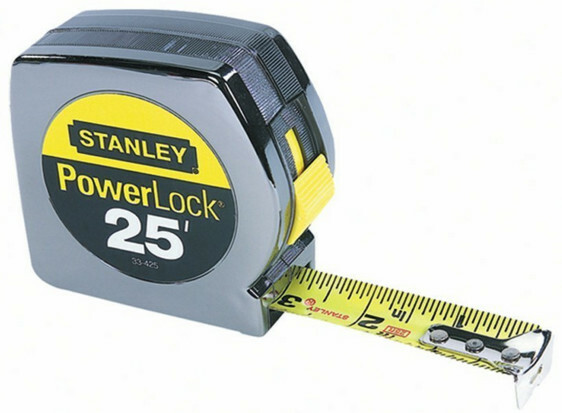 Measuring tape (Figure 8): A 25-ft model can be very useful. You can get them from Home Depot, Lowe’s, or at Amazon. 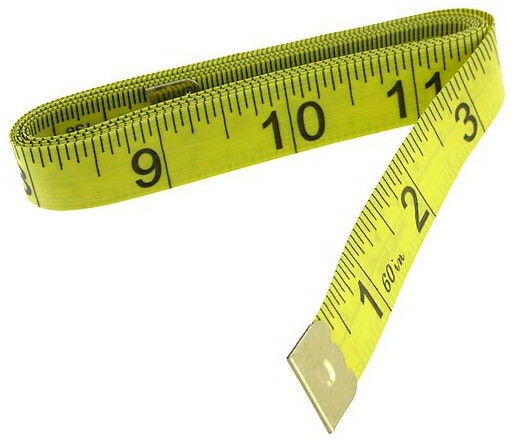 Fabric tape measure (Figure 9): This cost anywhere from $6 to $45 at Amazon. They are good for measuring diameters. Digital camera and calculator: Alternatively, smartphones are great for calculations and taking photos. There are calculator apps with simple to advanced features. Two of my favorites is Fraction Calculator Plus and Feet and Inches Calculator. Notebook and writing pads: Search for them at Amazon. Depending on the style and features, prices start at $4.79. Tablets: If you’re the type who loves gadgets, tablets are great for storing information, especially if you’re always on the go. Choose one with stylus capabilities that mimic a real pen, pencil or marker. Samsung tablets and smartphones are known for their S Pen styluses, which are pressure sensitive. Apple recently came up with the iPad Pro, which features the Apple Pencil, a pixel-perfect precision tool for sketching. Depending on the brand, memory, size and other features, prices start at $500. When you practice creating families in your spare time, you will be faced with unique modeling situations that may be difficult to deal with in the beginning. This allows you to study your methodology and create other alternatives if a particular modeling strategy does not work. In time, you’ll understand how to model a family efficiently. Aside from tutorial and reference books, one of the things you can do to improve your modeling skills is to find out how other users approach family modeling. You can do this by downloading free Revit families at Revitcity.com, Autodesk Seek or other sites that offer free family downloads. By simply opening a family, you can click a part and find out what form tool was used. You can basically dissect a family down to its component parts by separating them using the uncut geometry or unjoin geometry tools. You can also click a nested family and find out how it was created. You’ll find formulas in the Family Types dialog box as well. It is now up to you to build upon the tips and techniques explained in this 10-part series on creating downloadable Revit families. I hope it improved your skills. Good luck!